January 9, January 16, January 23, and January 30 all at 10 am Pacific on ZOOM video format with recordings. Ever wonder why you can just think about wanting to create a new friendship, get a certain gadget, manifest a trip to a specific location and BOOM! – the Universe delivers it instantly? Then there are other times when you have gone through all your Law of Attraction steps, really believing that you could attain what you desire, taken action but absolutely NOTHING happened! What was the difference? Is there some magic formula for creating a new relationship, more money, better health, launching a new product, or building teamwork in any organization? The answer lies with a masterful blending of East/West (EFT and the Native American Medicine Wheel) and new/old (quantum physics and ancient earth wisdom). Prior knowledge of EFT is a prerequisite for this course. You will walk away with a clear map for how to manifest anything you desire then follow the steps to design 2018! Alina Frank has been rated one of the top EFT Coaches in the world. She has been applying manifestation techniques since she learned to direct energy at Sunday school at age 10. Alina has founded several successful manifestation groups and she’s known among her friends as a “master manifestor”. Craig Weiner has studied a variety of spiritual traditions, the most significant being Native American teachings. Through his direct experience of medicine wheel teachings and ceremonies, along with his several years of practical study of quantum physics and extraordinary experiences in the Ramtha School, he has blended his personal and professional studies to achieve powerful results in supporting people to dramatically transform their lives. 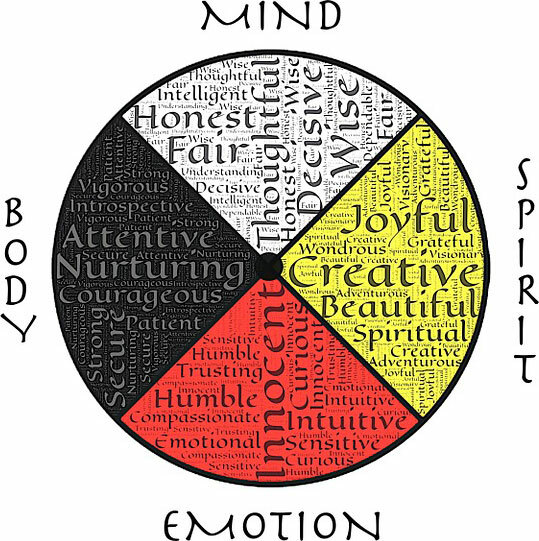 By weaving the power of the medicine wheel with the effectiveness of EFT, they will assist you in learning how to blend these paradigms to make huge leaps forward in transforming your life from dreams into reality. This yearly Manifestation Wheel-EFT workshop has often sold out. Craig Weiner and Alina Frank were granted special permission by Alan Seale, author of The Manifestation Wheel; A Practical Process for Creating Miracles, to present this material in combination with EFT, Matrix Reimprinting, and Matrix Energetics. Alan is the founder and director of The Center for Transformational Presence and both teaches intensive workshops and offers private coaching based on his book. Funny anecdote about this course……. Alina and Craig came across the work of Alan Seale and immediately applied it’s principles along with the healing tools they had. Their first intention they set in place (using the system you will learn) 10 years ago was to build the workshop and training part of their business. Since then they have taught for 4 different organizations and their workshops have consistently SOLD OUT. Their training and workshop schedule is so full that they cannot offer this course live in 2018 but decided to offer it as a webinar after many past participants asked if they were offering it in this online format. For more information including a video with Alan Seale on the origin of the Manifestation Wheel. You’ll receive all video recordings of the live webinar, course handouts and access to private group for assistance on the journey!